You should keep travel and short journeys to a minimum this month as they can be frustrating and pointless. You have a sense of who you are in a more complete sense this month. April brings into focus your unique accomplishments and how these reflect your individuality, and it may well be that someone in authority or a male father figure can give you guidance in how to maximise your potential. Pisces are full of potential, and yet you take a long time to mature and recognise what you have to offer as you tend to be unassuming; this month, you are beginning to reach that level of maturity and a turning point in a very long life cycle where you now have the capability to act on this potential and actualise it. April is a month where you need to be totally honest with yourself; it is best to correct modes of your behaviour or aspects of your work before you place yourself under scrutiny. It is not a time when you can get away with anything less than 100% and so thorough preparation is vital. There are unique opportunities right now that can shape your life direction for the next seven years, and so approach everything with diligence. If you have created opposition by any of your actions in the past, now is the time to build bridges and mollify anyone concerned – this can make your path that much smoother in the next few months. This month is not so much about ideas and expansion, it is more about being exacting and placing the finishing touches on work you have done – it is a time to refine, polish, and perfect. Identity is sought beyond your relationship. Pisces are often defined (in their own minds) by their marriage, but this month you will increasingly define yourself regarding your beliefs, ideas, and ideals, and this is part of a new phase of development. As with last month, this can make your partner insecure and a little clingy as they feel they have lost control in one sense or even the exclusivity they had with you. Pisces are expanding regarding your ego, your perspectives, and in turn, your lives are opening up to include other people and new absorbing interests. The changes you are undergoing, however subtle they feel to you, can feel a little more substantial to your partner who may pick up on them more than you realise, and this may cause some of the erratic and unusual behaviour you see in him/her. Thus relationships have a degree of edginess about them this month, and communication is more about what is unsaid than what is said. If you say too little, that can be misconstrued, and if you say too much, that can lead to misspeaks and contradictions making even innocent and mundane things appear like lies or potential issues. So the best approach this month is non-verbal communication, i.e., affection, showing concern, caring gestures, and extra effort regarding being considerate and showing gratitude. 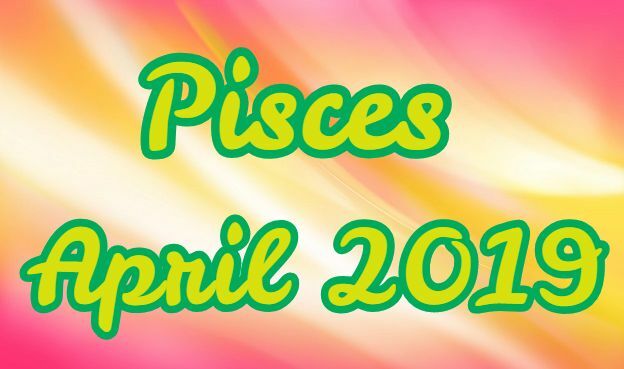 This is a powerful month for Pisces who are active in promoting workers’ rights – the force will be with you regarding your skill at negotiating and also clever use of information or disinformation. Information you receive cannot be taken at face value this month, and so it is important to analyse, check, and look beyond the obvious. You also need to expose yourself to different views and get beyond the echo chambers which may surround you. Often you only see what you want to see, and thus information, no matter how good can have limited use unless you see it in its fullest context. You will have increased responsibility and leadership in April – this can be daunting, but it can also be a good experience which can awaken you to your potential. It is not so much about your potential to lead but your potential to follow through, administrate, and cope with a great scope of work. Work relationships and associations within your business life can provide you with stress; you need to work harder to keep cooperation going. Be very careful of gossip or hearsay; it is important to get your information from the source or to get at least two different sources for each piece of information. In written work, you must back up everything you say with references; assume that whoever you present your work to will question your facts, and so be ready to defend them.